Unique shopping area located at Fort Myers Beach Pier. Parking available at Lynn Hall Park. 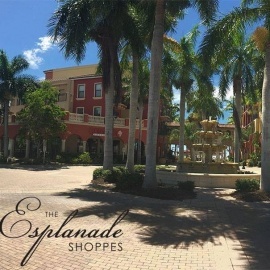 Retail and beach shops, restaurants and nightly entertainment. For everything health and wellness head to Back to Nature. Organic produce, fresh juices, a full cafe and more. If you're looking for some quality meats to grill up tonight, look no further than Bonita Butcher Block. Browse meats, deli items, groceries and more.